Obituary for Rev. Michael J. Heppen, C.S.C. | Kaniewski Funeral Homes, Inc.
Rev. Michael J. Heppen, C.S.C. NOTRE DAME, Ind. – Rev. Michael Joseph Heppen, C.S.C., 82, died at Holy Cross House, Notre Dame, Ind., on Monday, February 4, 2019. Fr. Heppen served in pastoral apprenticeship at the University of Notre Dame in 1963 and 1964 while completing an MBA. After receiving his MBA, he taught and was prefect at Notre Dame until 1966. Fr. Heppen was then awarded a Huebner Fellowship and studied at the Wharton School at the University of Pennsylvania from 1966 to 1967, then taught finance at the University of Portland until 1976. 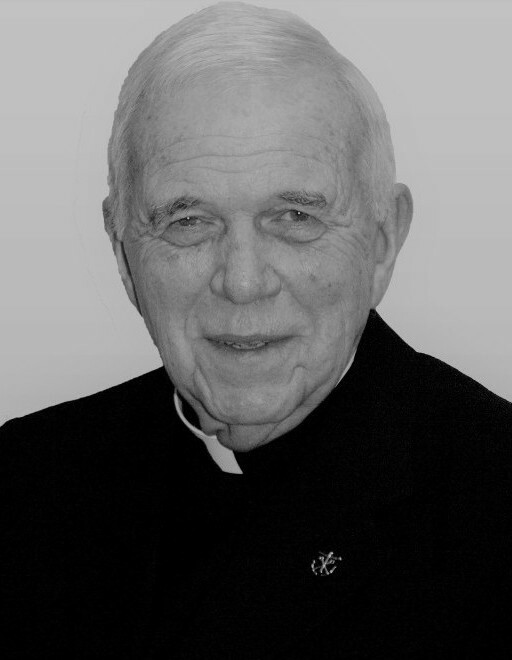 He entered the Jesuit School of Applied Theology at Berkeley from 1976 to 1977 then returned to Notre Dame in 1977 as director of student accounts, then director of university housing from 1979 to 1984. From 1984 to 1996, he continued to assist at Notre Dame before taking a sabbatical year in 1996, then serving as associate pastor of Our Lady Queen of Martyrs Parish in Beverly Hills, Mich. until 2003. Fr. Heppen began assisting at the National Shrine of the Little Flower Parish in Royal Oak, Mich. in 2003. He moved to Our Lady of Fatima in Notre Dame, Ind., in 2007; then resided at Holy Cross House, Notre Dame, Ind., beginning December 2017. He also assisted at St. Mark Catholic Parish, in Niles, Mich. from 2009 to 2018.